1943 World War II Community Silverplate Life Magazine Advertisement. Back Home For Keeps. Ad Features Lady Hamilton Design. Ad is 13 1/2" high and 10 1/2" across. Good condition, wear and light soiling at edges. Suitable for framing. 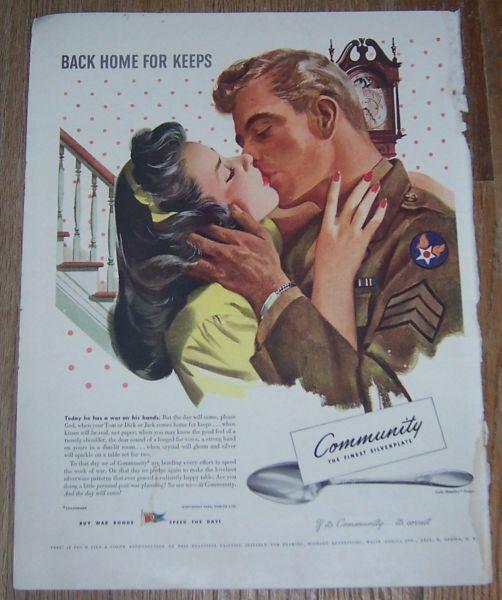 Items Similar To "1943 World War II Community Silverplate Life Magazine Advertiseme..."